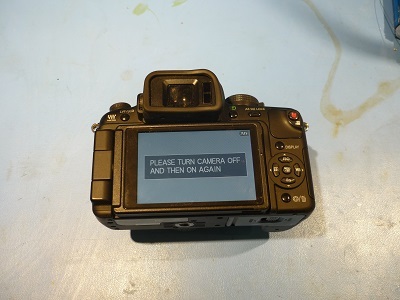 Does your Panasonic GH1 Boot up, get sad and display the "PLEASE TURN CAMERA OFF AND THEN ON AGAIN" message? Have you not been able to get out of this infinite loop? Follow along on the adventure of un-sticking and exercising your shutter motor, bring the beast back to life. This message can appear for a number of reasons, its the catch-all 'somethings up, maybe a power cycle will fix it' There are a few forum posts with this error and they all end at the same point, remove the battery and hope for the best or return the camera. In my instance I could hear the shutter motor start up and halt then the camera displays the error message. I've run around with this thing a bunch, its more than likely its absorbed its fair share of grime and beatings, but on to figuring out whats going on. Initially i thought, hey could just be the internal bios battery died or something simple. This thing has more parts than a swiss watch, so I went for the double-sided tape sorting method. This has worked really well in the past for holding itty bitty screws in place, adding a 'really bad artists rendition' of where the screw came from on a post it also helps to keep track of things. Strips of double sided tape are laid on the bench top to keep hold of the screws, as this prevents sneezes or well intentioned compressed air blasts from scooting parts all over the place. So I tore the whole camera apart. 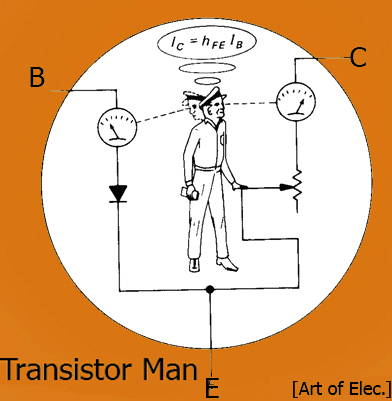 There's a repair manual [link] which is useful for figuring out how the thing comes apart / goes back together. Realistically it takes a while and there's a bit of a 'whats holding this in place' dance. The shutter assembly itself is powered by a tiny DC motor, a reduction gearbox and a cam-spring assembly for winding up and firing the shutter. This allows the motor to spool relatively open loop for shutter actuations. A hall effect position sensor is used to determine where the rotor is. I sketchily re-inserted the battery into the camera, with the pile of ribbon connectors connected and found that the shutter motor attempted to move, stalled and then stopped. The camera error is most likely a 'hey the hall effect position sensor hasnt seen movement, somethings up' timeout error. I disconnected the ribbon cable feeding the motor and soldered 2 wires to the dc motor to see if the motor itself was dead. I had no idea what voltage the motor was, but given that the camera battery is 7v, it was probably somewhere between 3 and 6ish volts to fire over the motor. I used a current limited supply, set to 3v 100mA and tested the motor. After a few jitters, it sprung back to life <video below>. It appears the little reduction gearbox lubricant had dried up and turned sticky, I added some silicone lubricant and spooled the shutter a few times. And lo the GH1 shutter cycled from an external supply to wake it back up / cycle the new lubricant back into the small shutter gearbox. Again, this is powered by an external CURRENT LIMITED power supply set at 3v 0.1A. The current limit is an important caveat to this, as it prevents supplying very high current to a tiny motor, possibly causing damage. Remove the soldered in place wires to the shutter motor and use the service manual [link] to help re-assemble the beast. You labeled your screws and used the doublesided tape + post-it note method didnt you? AND NOW YOUR CAMERA WORKS AGAIN, HOPEFULLY.